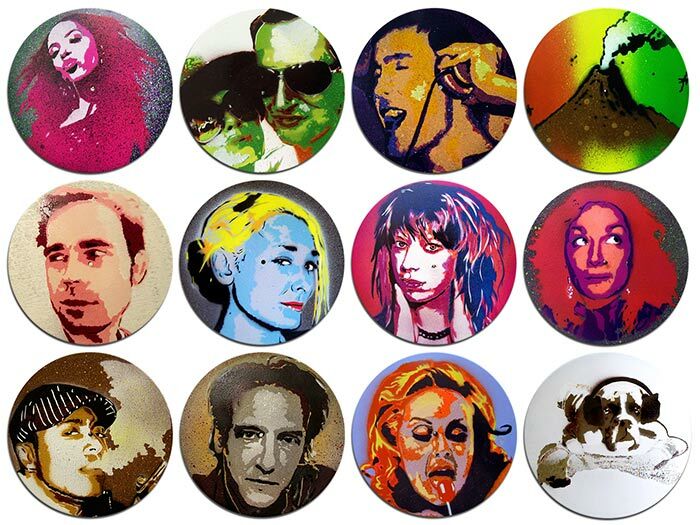 So long story cut short, i set up an art business called www.yourfaceonvinyl.com – a custom portrait service where it is possible to order a stencil portrait of yourself (or anyone else for that matter), on canvas or reclaimed 12″ vinyl record made using hand cut stencils and spray paint. 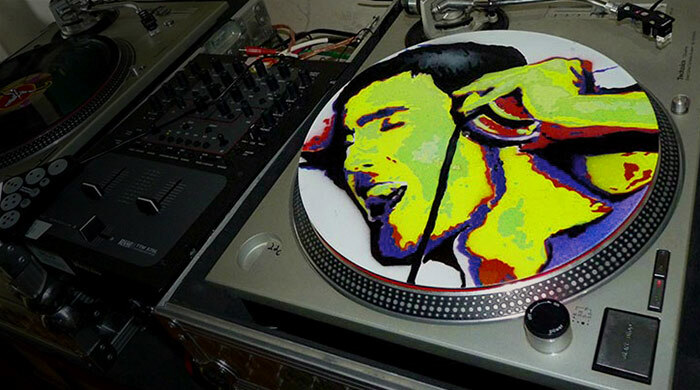 The website (at time of writing this) is still there, but i got lazy, i got disinterested, i couldn’t be bothered to keep more than one website + all the associated social media up and running at the same time. 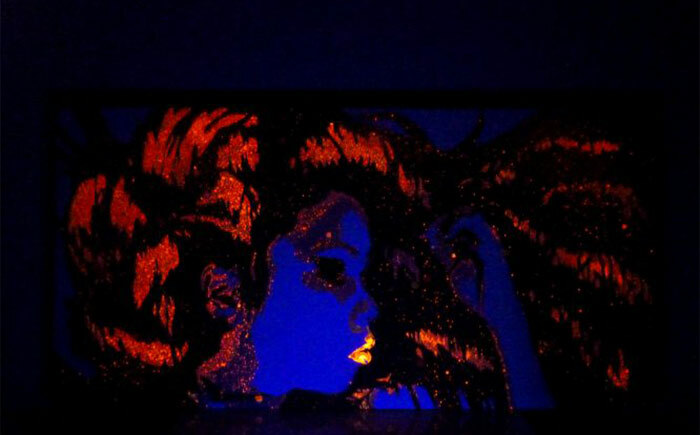 At the same time, i feel bad to simply turn my back on these pieces, I still create them and decided it is high time i feature theme on my website. 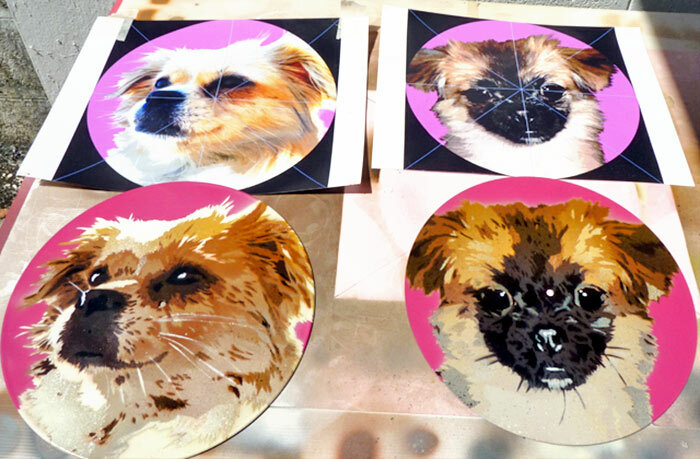 To order a custom stencil portrait on vinyl or canvas please contact me using the link below. 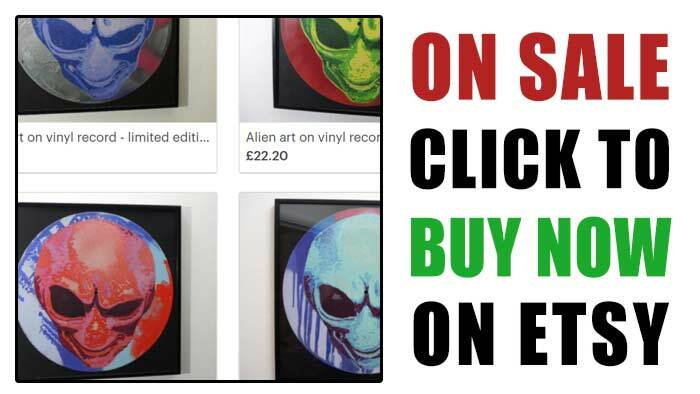 Alternatively check out some pieces I’ve got ready for sale on my online store. 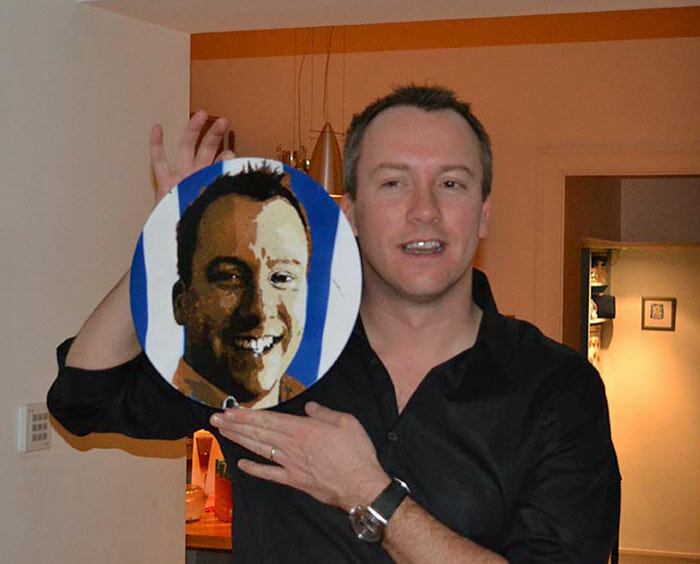 Speak soon, cheers! 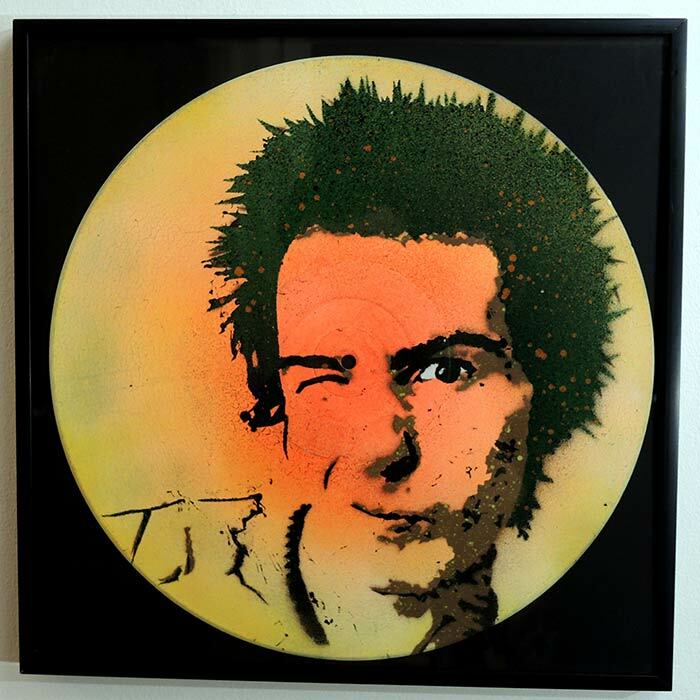 Above photo: framed Sid Vicious stencil portrait art on vinyl record – buy while stocks last! 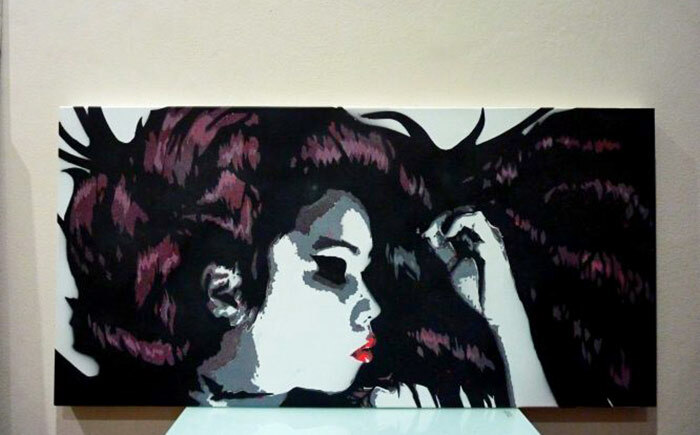 Above photo: framed April Flores stencil portrait art on vinyl 12″record – buy while stocks last! 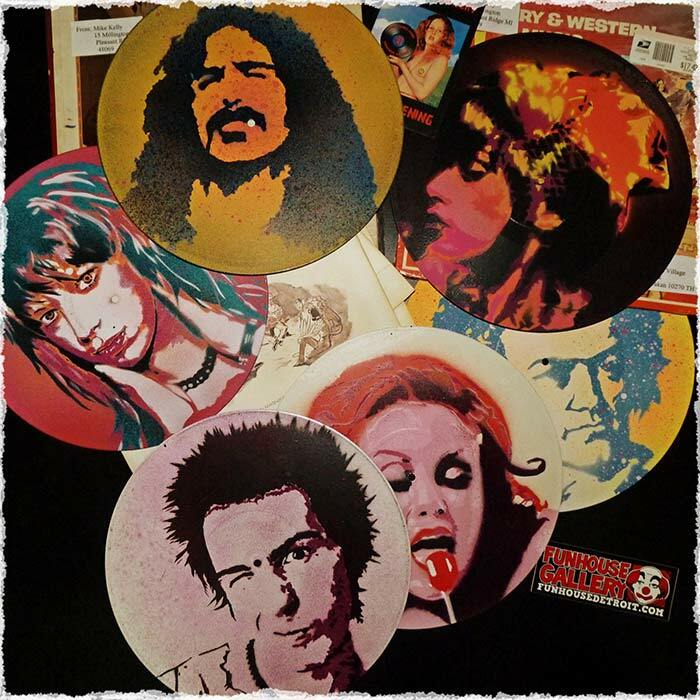 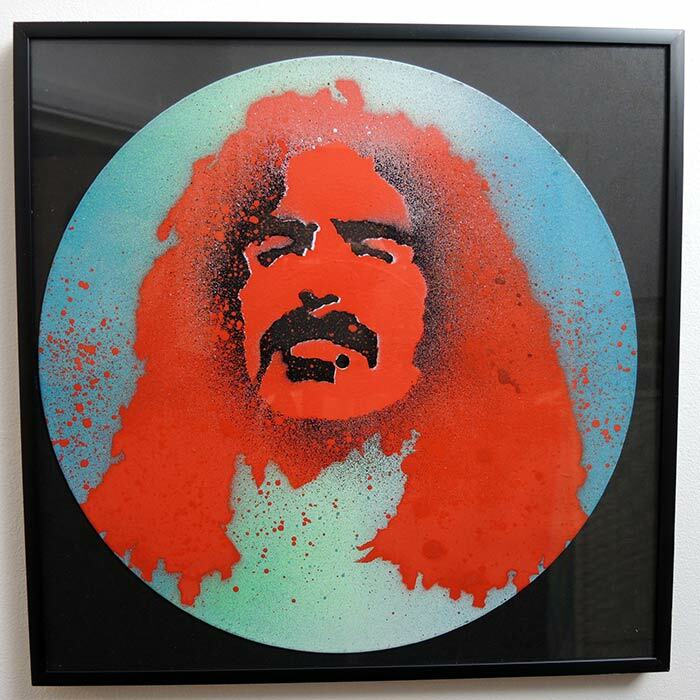 Above photo: framed Frank Zappa stencil portrait art on vinyl 12″record – buy while stocks last! 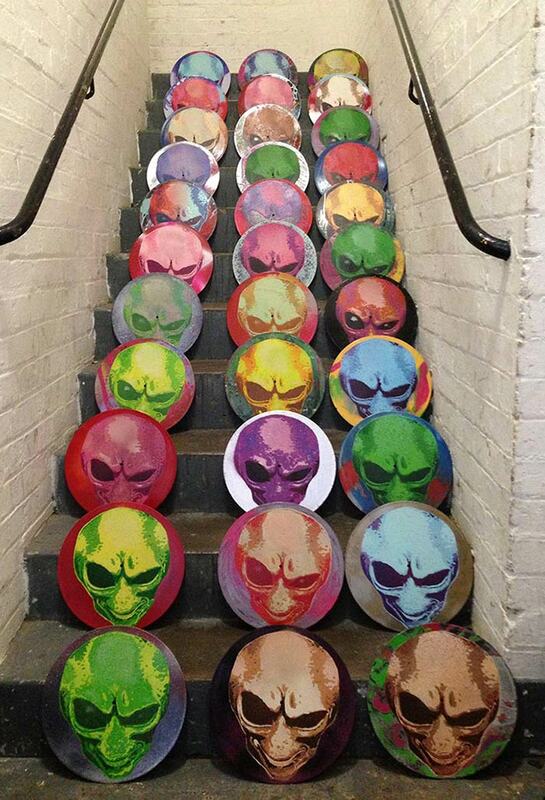 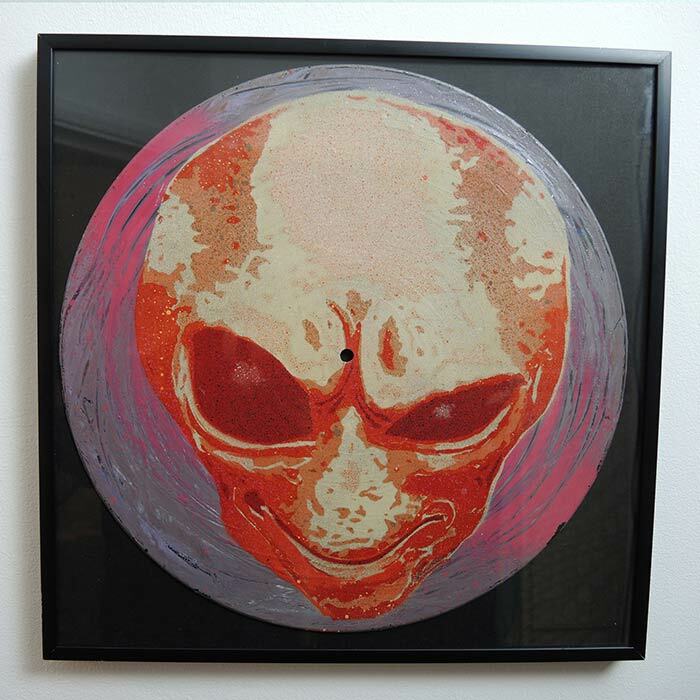 Above photo: framed Alien stencil portrait art on vinyl 12″record – buy while stocks last! 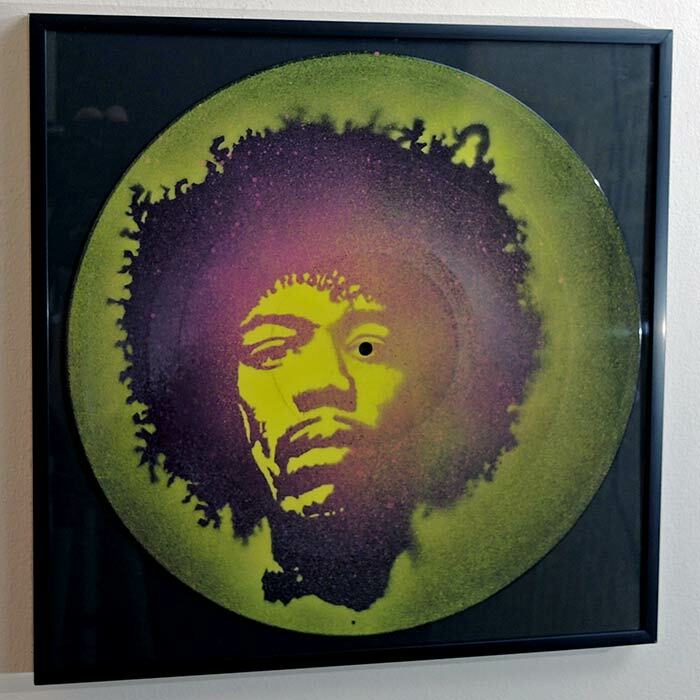 Above photo: framed Jimi Hendrix stencil portrait art on vinyl 12″record – buy while stocks last! 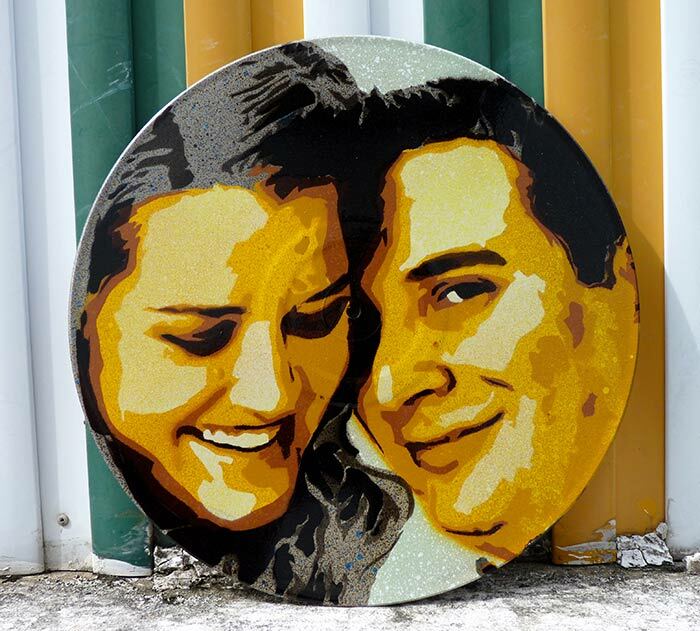 I still get and fulfill custom portrait orders, i also sell pre-made vinyl stencil art from limited edition runs which you can find on my etsy store online. 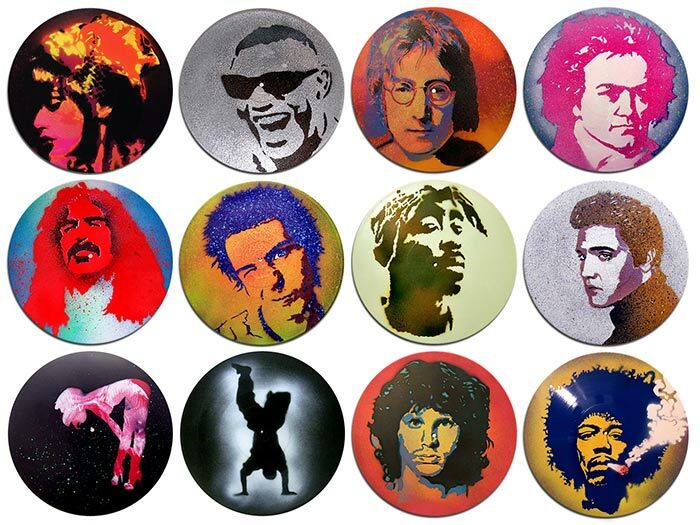 I’ve put some examples of some previous orders I’ve created, in some cases I’ve left a description under the photo of the art.